Few of us make it out of adolescence without forming a few ideals about love. Whether we know it or not, we enter the playing field of adult relationships with certain built-in fantasies and expectations. We know how our partners are supposed to treat us, how they’re supposed to react to our needs, how they’re supposed to feel about us. Unfortunately, some of our ideas about life and love may be closer to fairy tales than to reality. Enter the relationship lessons from hell, courtesy of Pluto and Uranus. Both of these outer planets are notorious for shaking up our lives, and their wake-up calls are extremely painful when love is involved. Plutonian/Scorpionic and Uranian/Aquarian relationships can rip your heart to confetti and leave you crying hysterically on the bathroom floor. Both types of relationships have heartbreak in common, but how are they different? Better yet, what’s the point? What are we supposed to be getting from all this? The hallmarks of the Plutonian encounter are easy to spot. Here’s a typical scenario: you meet this wonderful guy and become madly obsessed with him. After six months of mind-blowing intimacy, things start to deteriorate. The tone of the relationship becomes controlling and manipulative. There are screaming fits of unreasonable jealousy, lies, deceit, and sometimes verbal or physical abuse. There’s often an addictive quality about it — it’s a cycle you can’t seem to break, even though you know your life is falling apart around you. You break up, you make up, you break up again, ad nauseum. Pluto presides over death, power, deep sexuality, and transformations of all kinds. People who have lived through Plutonian encounters have the scars to prove it, but if they’re lucky, they also get something much more important: the shattering of certain dangerously childish illusions. People aren’t always good, even the people who love us. Fear, selfishness, and the desire to dominate are an ugly but unavoidable part of human nature. If we make it out of high school believing that loved ones are always unconditionally invested in our welfare, we have no defenses against the raw, self-serving side of human nature. We have no boundaries, no canniness, no internal justification to say “Stop it!” and truly mean it. Pluto shows us the dark side of love. It’s up to us to face it realistically. Once Pluto’s lessons have been truly accepted, we find ourselves better able to spot fear-based manipulation, even if we’re the culprit. Eventually, forgiveness begins — not forgiveness for the person in question (they usually have to be ditched), but forgiveness for ourselves and for the whole sad, silly, bent, and beautiful human race. Now, enter the Uranian experience. Uranus presides over humanitarianism, abstraction, and freedom from convention and routine. Uranian relationships can also leave you sobbing in the shower, but their ultimate lesson is somewhat different. Here’s the scenario: You meet a girl and become close friends; at some point you realize you’re falling for each other. After a few months of great fun and dating, you decide you’d like to take it to the next level. You ask her to move in with you. She says no, she’s not ready to give up her freedom. You begin to press her for proof of her long-term intentions, and one day she simply disappears with no warning. When you run into her in the coffeehouse a month later, she says there’s no hard feelings and sits down to have a chat like nothing’s happened. There you are, still a blubbering wreck, and she acts like it was no big deal. How could anyone be so cold, and how could you have been so wrong about her? Guess what? You’ve just become the casualty of a different set of childish illusions. These illusions have to do with the subjective nature of emotions. Most of us walk around assuming that our emotional reality is the emotional reality — we know what love is, and we know we’re owed. We assume that somehow our feelings of longing, desire, pleasure, and pain are mandates to the world at large. All too often, we can’t sense the difference between our emotions and our selves, so that emotions (based entirely on the actions of a few bodily chemicals) get tangled up with our moral will, our higher selves. We set up expectations based on a set of totally unfounded ideas about what love is supposed to be. These ready-made expectations place unreasonable limits on love, sometimes crippling ones. Love doesn’t always respond well to demands, and assumptions are really demands in disguise. What we’re saying to Love is this: “If you can’t show up in a form that makes me totally comfortable and secure, then go away!” Sadly, it usually obliges. Uranian lessons are all about separateness. If we accept the separation of ourselves from our emotional assumptions, we can enjoy a wider variety of interactions with the world. We don’t make the same emotional demands, nor do we feel the need to respond to the emotional demands of others. We discover a new sense of self-sufficiency, which ultimately gives us the freedom to make choices that are better for each of us as individuals. We discover new ways to love. Relationships based on the energy of the outer planets — Pluto and Uranus included — are the “big lesson” relationships. Through them we learn a few broad and sweeping truths about life itself and our place in it. The coursework can be heartbreaking; and for better or worse, once you’re dragged kicking and screaming into the outer planet’s School of Hard Knocks, you’ll usually be forced to repeat the classes until you pass. You can pass, though. And with the diploma comes a broader, more realistic, and ultimately more satisfying understanding of love, life, and human nature itself. Believe it or not, it’s worth it. Comment below: What lessons have you learned from Uranian or Plutonian heartbreak? Laura, this is so well written. It’s really beautiful & poignant.Jeffrey, thanks for posting this. Going through these types of relationships (I have huge experience in Plutonian relationships)sometimes you wonder how you’ll ever escape. Eventually, you do escape and can see the warnings sooner, and as long as you act quickly, they wont get out of hand! It is a pretty awesome post. The Uranian lesson reminds me of the developmental phase where we realize that we are distinct from the world, that not everyone out there experiences life like we do. That’s individuation in a nutshell. But I think some of us get stuck and feel that sense of entitlement, that the world owes us like Mommy owed us. I agree its beautiful. But where is the relationship that is supposed to work? where does that one fit in? Thanks for the compliments, everybody, and I’m glad you enjoyed the post! Anon, that’s a good question, and I’m not going to begin to pretend I have the answer. In fact, I have a sneaking suspicion that this is one of those questions that doesn’t really have an answer, at least not one you can point to and say, “Hey look guys…there it is! The Answer!” But I also believe that it’s very important to keep looking for an answer, our own answer. As Jeff pointed out, it’s all about individuation. But I’d love to hear how other folks are coming along…has anyone found their own answer to Anon’s question? How did the process work for you? I’m still confused about this. How do you figure out which planet rules your relationship with another person? …But where is the relationship that is supposed to work?…. I don’t know that there is a relationship meant for everyone that is ‘the one’, or ‘the one that is supposed to work’. A ‘relationship that is supposed to work’ may just be an illusion that we keep chasing. It may sound depressing, but I think it’s one of those realities of life that most of us don’t want to face. We grow up thinking life is going to work out a certain way, only to find out that life is under no obligation to deliver our dreams to us exactly the way we want, when we want, with whom we want. And then we get disappointed, compare ourselves with the ones who are *supposedly* living our dreams, get angry & frustrated/resentful. Sometimes I wonder why we go through life with this notion that we are entitled to having our dreams fulfilled. Maybe there is no such thing as a perfect relationship, perfect job, enough money, perfect partner. We get so caught up in what’s coming up next that we so often miss the *present*.Maybe what you have now is perfect as it is for this moment, despite it’s limitations. Because if it’s not making you happy then you will be forced to change it & in prompting you to do so/ to change/ to learn/ to grow, *it* (whatever *it* is, a broken relationship or an underpaid job or a health crisis) has served it’s purpose. Unfortunately not everything in life is meant to last & just because something doesn’t last doesn’t mean it has no value. When you have learned your lessons that you needed to learn, then maybe the same relationship changes into the one that works for you, because now you have changed your paradigms. Unfortunately not everything in life is meant to last & just because something doesn’t last doesn’t mean it has no value. Yes, but it’s still sad when you have to let go, that’s for sure. For Anon: Oh, I think I’m a little clearer on your question. There are several astrological indicators, and it would be too space-consuming to go into all of them here, but here are three broad places to look. First, look at the Plutonian or Uranian influence in your own chart, and their ties to your relationship houses and planets. If you have Pluto conjunct Venus in Scorpio in your 7th, for instance, you’ll deal with Plutonian relationship issues quite a bit, possibly alternating roles at times. Second, look to the synastry between your chart and your partner’s, and look for strong Pluto or Uranus connections, especially hard aspects. For instance, your partner’s Uranus opposed to your Venus might indicate that he or she remains reluctant to commit. Third, check your transits. Transits of these outer planets to relationship planets or houses can trigger corresponding experiences. Very broad answers, I know, but there are about ten thousand individual factors that might come into play. But I hope this helps somewhat…. I’m trying to understand more about astrology but right now I just don’t get it.At 47 my relationship history has been nothing short of a disaster;full of heartbreak plus plus,deceipt and cheating(and never by me) and two marriages.So is it my planetary position at the time of birth that have coursed so much heartache, that I attract such losers ,that maybe I come across as all needy ,that maybe I have an underlying need for drama in relationships.What is it?? My birth planetary positions won’t change so how can I “fight” their strong influence;I really want to have a loving healthy relationship.Surely to God I am not destined to have these crazy types of relationships forever.Also is there any particular planetary influence in my chart that attracts healthy relationships.I must be just missing them!! I have Sun,Taurus 3rd house.Moon,Cancer 6th house.Mercury,Gemini 4th house,Venus,Aries,2nd house.Mars,Leo 7th house.Jupiter Aquarius 1st house.Saturn,Capricorn 12th house.Uranus Leo 7th house.Neptune,Scorpio 8th house Pluto, Virgo 7th house node,virgo 7th house. As you can see I have Pluto and Uranus in the 7th house ???? Planetary positions don’t cause relationship patterns, they simply correspond. 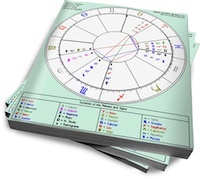 The usefulness of astrology lies in identifying the archetypal underpinnings of these patterns and seeing how you can find a way to express them that are (1) more evolved (or less dysfucntional) and (2) equally true to their archetypal expression. This requires not only lots of insight, but commitment and hard work. Psychotherapy can help. Yeay !! so the answer lies in psychotherapy. WOW…the first time around I read this, I just skimmed it not understanding, second time around, especially since Alya, another member on our boards told me that Pluto is trying to teach me a lesson “You break up, you make up, you break up again, ad nauseum.” SOOOOOO me and my Scorp who both have Uranus in Scorpio, this blog really opened my eyes. Jeffrey, thanks for sharing, Laura, GREAT blog. I know that when this Scorp first came along, I was willing to drop EVERYTHING for him. The minute my phone rang and it was him, the world stopped and my life revolved around our conversations, the dreams we built together and what kind of life changes I’d make for this guy, this includes relocating…well, why is this sucha bad thing? This was all done while I neglected my daughter. I’m not talking about completely neglecting her, but emotionally, I was not there for her. My sister lived with us for a short period of time, and whenever he called, that was it, I dropped everything, including my baby girl just so we could talk for hours on end. I believe this Plutonian lesson was, “It’s ok to love again – let go of how much your daughter’s dad hurt and betrayed you, treat each relationship like a fresh new palate; really think about what you want to say because once those words are uttered, you can’t take the back (I’d say things just to hurt him and not mean it. Now whenever I got upset with him, I take a couple of days to really think how I want to approach what made me upset), and most of all, love yourself but love your daughter more, never choose a guy over him. Evidently, the lesson isn’t quite still learned yet…I still experience “You break up, you make up, you break up again, ad nauseum.” But I wonder if the cycle continues because I allow it to? Thanks for the article Laura, I gots sun conjunct pluto in libra and venus conjunct uranus in scorpio, so things do get interesting sometimes. i have this “thing” with this guy and we have both of this going on; pluto for me, uranus for him. arrgg! i’ve learned my lesson and I hope he has learned his. funny tho, now that i’m more sure of myself he’s taking so long to ‘pop back up’. I need to carry it around as a personal manifesto. This made me think of something I wasn’t sure was addressed. That both parties involved are responsible for the childish illusion, but I think that mainly the person who decided to go on a disappearing act is the one suffering from it most: to think that you can just do whatever you want to someone without taking responsibility seems to be a greater illusion than to want a solid commitment. I recently became the casualty of a Plutonian relationship and let me tell you I will carry these battle scars to the grave.